Dr. David Ward is a Rhode Island native. He is proud to have followed in his father's footsteps, and has practiced in Woonsocket, RI for twenty-two years. He graduated with honors from Tufts University School of Dental Medicine. His practice focus is cosmetic dentistry and implantology. Combining these passions, he creates beautiful smiles. 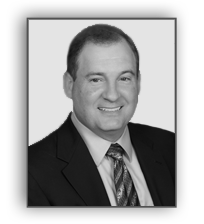 Dr. Ward is a proud member of the American Academy of Cosmetic Dentistry, and is Treasurer of The New England Academy of Cosmetic Dentistry, The American Dental Association, The American Academy of Implant Dentistry and The International Conference of Oral Implantologists. He is an Associate Fellow in the American Academy of Implant Dentistry and a Fellow of the International Congress of Oral Implantologist. Dr. Ward is a Fellow of Pierre Fauchard Academy. He has received commendation from The Rhode Island Foundation of Dentistry for the Handicapped for his work with disabled and elderly citizens. Dr. Ward lectures locally.